Should I get a Lash Lift? Having long, luscious eyelashes is the dream for many women. Millions of women around the world spend a considerable amount of money on lash curlers, mascaras, and other products designed to make their eyelashes look longer and more alluring. But what if there’s a better and more cost-effective way to have beautiful eyelashes than using makeup? Want to know what it is? It’s having a lash lift. 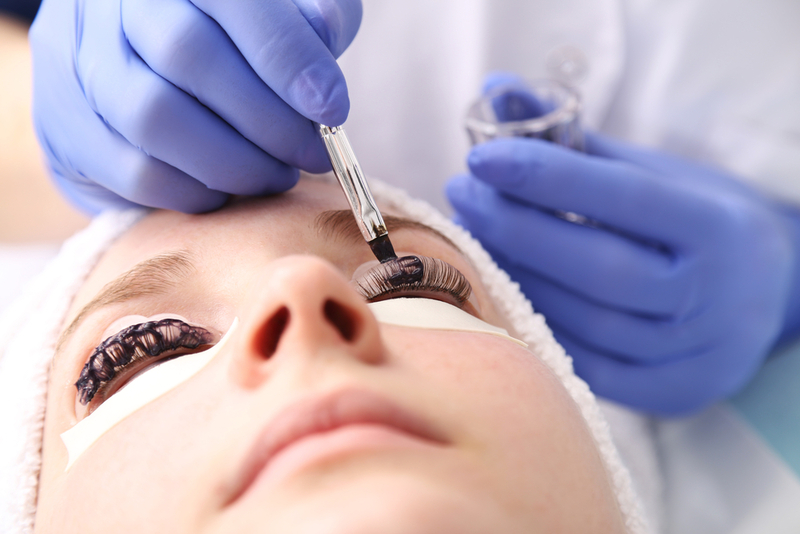 In a nutshell, a lash lift is like a perm for your eye lashes. When you have your lashes lifted, you’ll need to lie down, then your eyes will be prepped with gentle cleansing pads to remove any makeup (hint: it’s best to go to a salon make-up free). Afterwards, a pair of sticky pads will be attached just under your eyes to ensure that your bottom lashes won’t get caught with your top lashes when the perming solution is applied. The perming solution changes the bonds of your eyelashes permanently. This is why they “lift” and stay that way for months. However, those lashes will eventually fall out as the new ones grow. If you want to have long and curly eyelashes again, you may have to repeat the lash lift in around six weeks. It’s a good idea to have an eyelash tint at the same time to make your lashes darker and your eyes pop! How Much Do Lash Lifts Cost? Generally a lash lift plus a lash tint costs in the vicinity of $100. Some salons offer this service at a more competitive price, while others offer it at a higher price. If you want to save money, it would be wise to do your research and compare prices so you’ll know which salon is offering a better price. Here at Wholistic Health & Beauty Centre, we have some fantastic value lash and brow packages as well as monthly specials. Keep an eye on our Facebook page or get in touch 5t6yjfor more details. Is a Lash Lift Worth It? Is it worth it? If you’re going to ask those who have had a lash lift, they will definitely reply with a resounding “Yes!” Relatively inexpensive, this procedure is certainly a must-try because you won’t get the same dramatic effects with a curler or mascara alone. Plus, undergoing this procedure is much easier and more convenient than applying and removing mascara every day. It’s quick and simple and you don’t run the risk of accidentally poking your eye! Most importantly, you’ll enjoy having beautiful eyes and lashes for months without you having to do anything, thus saving you a great deal of time and effort!